Are you one of the many Portal 2 super fans? 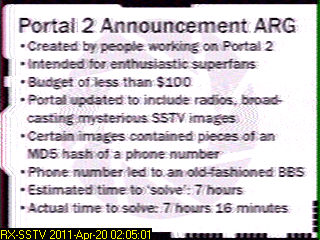 The guys who spent hours and hours decoding strange clues emanating from Valve’s offices prior to the game just so that you could get Portal 2 a couple of hours before anyone else? Well then this Portal 2 easter egg is for you. 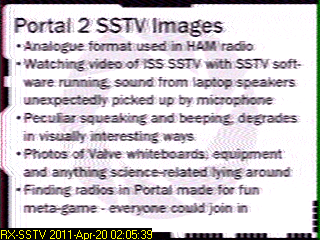 Valve have included a secret room with an incredibly irritating noise in Portal 2, this noise however can be decoded into 3 images which explain the ARG promotion that Valve run. Seriously do you remember these things? You can check out more information here and through the video below. These are the images that you could decode from that sound.